Who would have thought it? 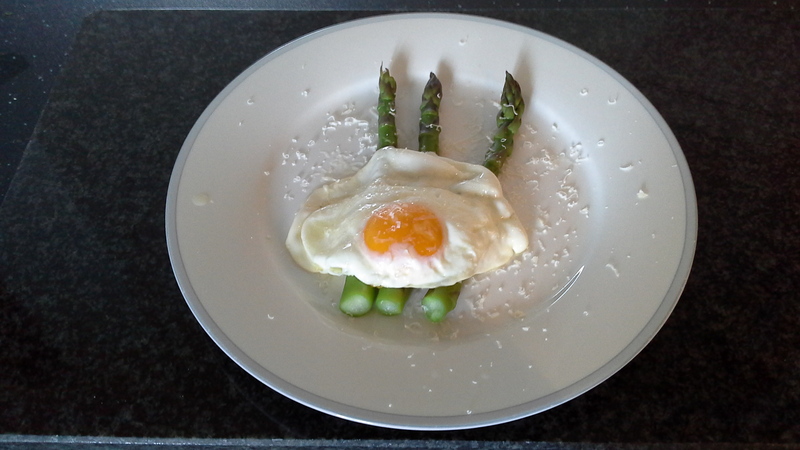 Asparagus and eggs! It sounds like a crazy combination but it works! Giuseppe explained all the health benefits of eating asparagus and how they are particularly beneficial for people with a dodgy back (ok, these weren’t his actual words!). Then he offered up a few suggestions as to how to create amazing Italian dishes using asparagus. 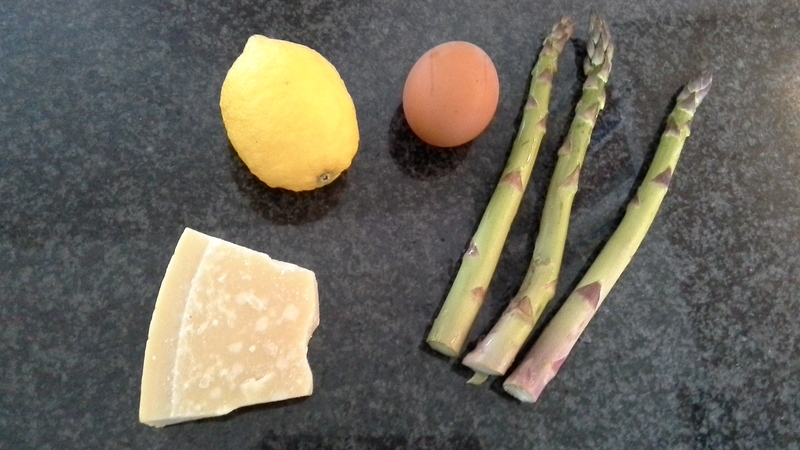 One that caught my attention was the asparagus and eggs combination, so, today I decided to go solo without Angela, my Italian cookery teacher, and cook myself a light lunch. It was so simple to prepare, yet the flavours just exploded in my mouth! (OK, now I sound like one of those crazy wine connoisseurs!) The balance of flavours were just amazing and the ‘pièce de résistance’ was the squeeze of lemon and sprinkling of grated tocanello cheese. So, how did I create this delicious and nutritious dish? I simply steamed the asparagus (the locals boil their veg but I prefer to steam them!) and fried an egg. Placed the cooked asparagus on a plate, added a few drops of freshly squeezed lemon, grated tocanello cheese, then added the fried egg and finish with another sprinkle of tocanello cheese! Couldn’t be simpler! Whilst I was there, Giuseppe was excited to show me his crop and his new processing plant. Which included the highly ingenious asparagus ‘weighing’ instrument. 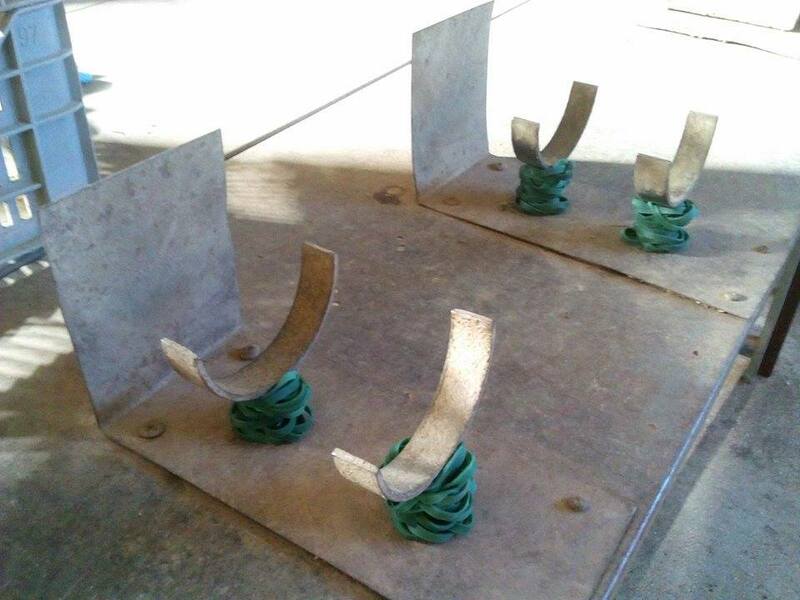 This consists of 3 pieces of metal; 1 L-shaped piece screwed to the countertop and the other 2 semi circles, were fixed to the base. 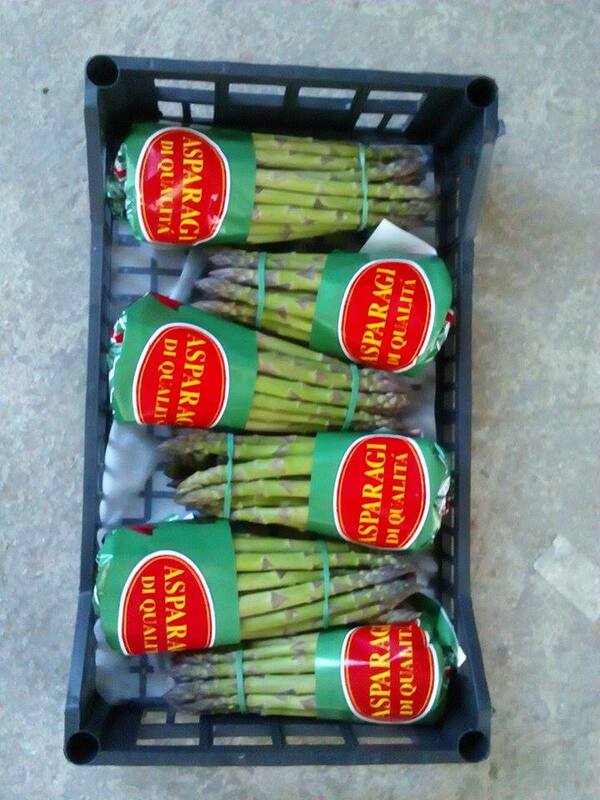 Giuseppe explained that once the asparagus reaches the top of the semi circles, this weighed approximately 500g. They are then tied with an elastic band and a plastic wrap, then they’re ready for transporting to Milan. 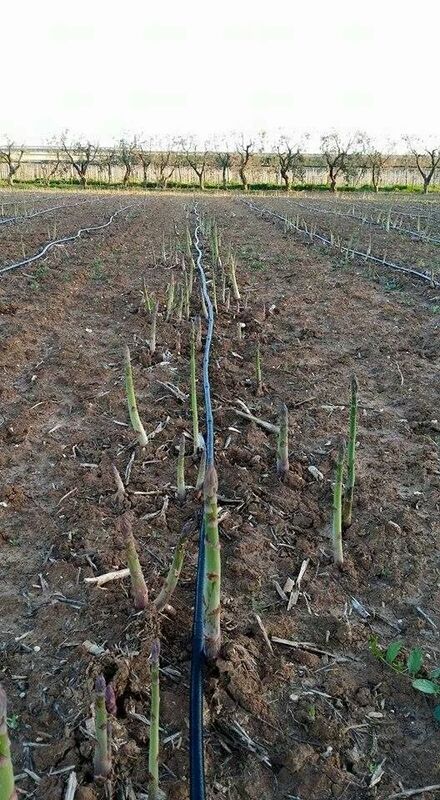 “Such a shame these aren’t not keep locally” I said but Giuseppe explained that there isn’t a high demand for asparagus in Puglia. Really??? 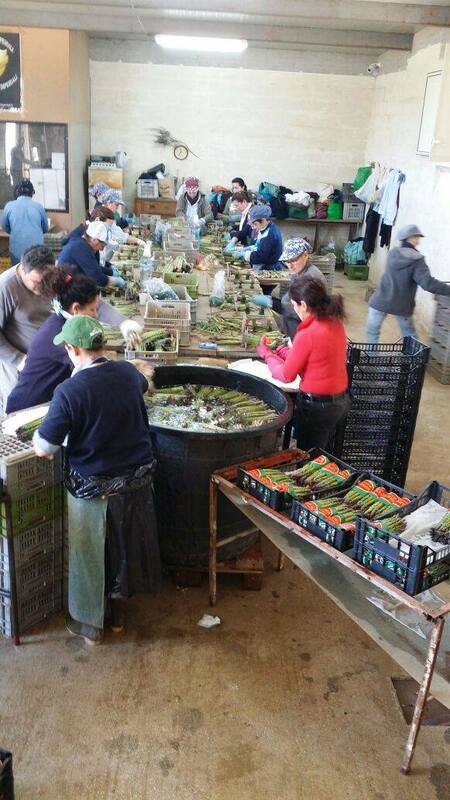 From March until end of June, Giuseppe gets up at 3:30 am and the workers arrive at 4 am to harvest the asparagus. “It’s still dark!” I exclaimed. “Yes but there is enough light and it’s the best time to harvest them.” They are washed and graded and separated before being ‘weighed’. Judging by the workers, this is deemed ‘women’s work’ and after an early start, they’re finished by 10am. Just enough time to get home and start preparing lunch for ‘la famiglia‘. Although I’ve lived here for over 4 years now, it still surprises me how women are perceived in Italy, or perhaps this is just a Southern thing. The women do ‘women’s work’ like tending to the family and ‘light’ work, whilst the men do ‘men’s work’, like building or tending to the olive grooves, they’re the hunter gatherers and provide for their families. It seems like time has stood still here and in some respects I love that about the south, they are keen to retain their culture and traditions. But I can’t help thinking ‘What about equality?’ Will men and women ever be considered equal? They have such distinct roles here. I know in the UK they talk about equality but I’m not convinced they’re there yet either. OK, so I went a little off piste there! Sorry about that! Hope you’ll try the asparagus and eggs! ← Octoberfest in May? – Anything is possible in Puglia!